Travel in India inspires this year’s WHD Dance. In the foothills of the Himalayas, I’ve been choreographing Bollywood style and it’s turning out to be quite cute and fun. It combines some off-body moves with a bit of on-body dance, lots of bouncy footwork and graceful things to do with your arms & eyes. 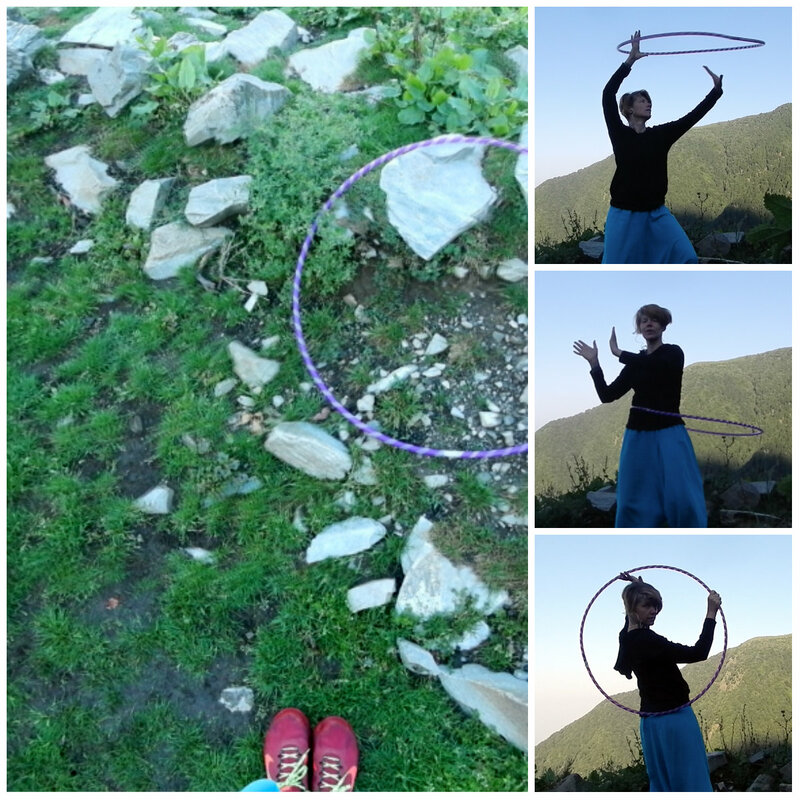 If want to drill movements while waist hooping, practice turning in the hoop, walking, and doing grapevines. Some of the footwork also involves squats, turns, and formations.